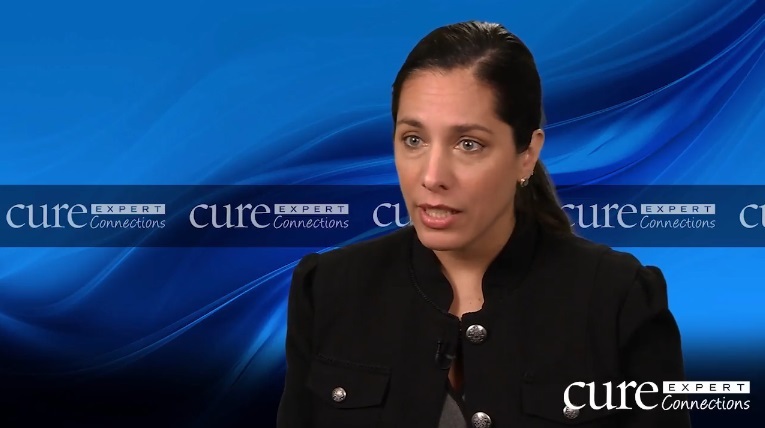 Nicole Lamanna, MD, explains how chronic lymphocytic leukemia commonly presents in patients and discusses the significance of novel treatment approaches in transforming the way the condition is managed. Nicole Lamanna, MD, provides an overview of chronic lymphocytic leukemia and explains how it differs from other types of leukemia. Nicole Lamanna, MD, explains how levels of red blood cells, white blood cells, and platelets, as well as lymph node involvement, play a role in deciding how to manage chronic lymphocytic leukemia. Nicole Lamanna, MD, discusses chromosomal abnormalities in chronic lymphocytic leukemia and explains how they play a role when making treatment decisions. Nicole Lamanna, MD, defines relapse in chronic lymphocytic leukemia and remarks on considerations for selecting treatment in this setting. Nicole Lamanna, MD, explains what refractory disease in chronic lymphocytic leukemia means and remarks on the importance of clinical trials and the use of stem cell transplantation for appropriate patients in this setting. Nicole Lamanna, MD, highlights unmet needs in chronic lymphocytic leukemia and suggests techniques health care professionals and patients can use to improve care. Brian Koffman, MDCM, MSEd, describes his own case of chronic lymphocytic leukemia and idiopathic thrombocytopenic purpura (ITP), identifying the symptoms he experienced before and after his diagnosis. Brian Koffman, MDCM, MSEd, discusses his rejection of allogeneic stem cell transplant and development of chemorefractory chronic lymphocytic leukemia (CLL) that led to his participation in an early clinical trial of ibrutinib. Brian Koffman, MDCM, MSEd, shares insight on his current relapse of chronic lymphocytic leukemia (CLL) and discusses the potential value of chimeric antigen receptor (CAR) T-cell therapy, which he will be receiving in an upcoming clinical trial. Brian Koffman, MDCM, MSEd, describes the inspiration he had to form the nonprofit CLL Society and outlines the resources it provides for any patient with chronic lymphocytic leukemia (CLL). Brian Koffman, MDCM, MSEd, provides insight from a patient’s perspective on self-advocacy and reflects on the positive direction in which the treatment paradigm of chronic lymphocytic leukemia (CLL) is heading.